EVEN before “Inday” (international name: Nakri) turned into a tropical depression, a low pressure area (LPA) last week left the eastern portion of Misamis Oriental with not less than P5.13 million in damages. Edmundo Pacamalan Jr., chief of the Provincial Disaster Risk and Reduction Management Office (PDRRMO), said agricultural damages comprised mostly the estimated amount. 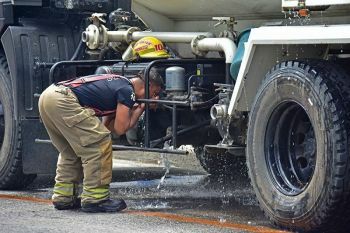 According to PDRRMC reports, the nonstop downpour and strong winds last July 26 destroyed crops, livestock and properties in the towns of Claveria, Balingasag, Jasaan, Tagoloan, Villanueva and Lagonglong. Pacamalan told Sun*Star Cagayan de Oro that close to 37 hectares of banana, rice, cassava and corn fields and a rose farm were ruined in Claveria and Balingasag. "The damage was expensive. With the bangus and fish pens alone, they cost P5.13 million. Add to that the farms and fields. It cost us really much," Pacamalan said. Although the LPA did not make a landfall in Mindanao island, the PDRRMC documented a total of 374 houses damaged and affecting some 1,714 individuals. Pacamalan said around 1 a.m. last Saturday they were able to evacuate families living near creeks and rivers in Claveria and Jasaan due to the strong current. A certain Rudy Janubas of Barangay Gumaod in Claveria was hurt while no death had been recorded, Pacamalan said. Inday is the fourth storm to enter the Philippine area of responsibility (PAR) in July. 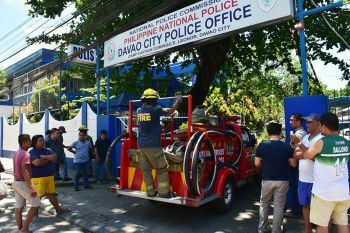 Previously, Pacamalan told Sun.Star they will always be ready to respond to disaster-affected areas anytime as long as local government units coordinate with the PDRRMO. He said Misamis Oriental has a 24/7 monitoring system both at the [Provincial] Capitol, its primary command center, and Gingoog City, its secondary center. "The second command center will monitor the eastern part of Misamis Oriental once the storm will enter Surigao area," he added. Governor Yevgeny Vicente Emano affirmed the province's readiness in case calamities will strike the province. "Plans have been carried out to mitigate and prevent further damages in the onslaught of any catastrophes from hitting the province," Emano said earlier. "It is necessary to make plans ahead for the preservation of the lives and properties of affected communities." According to Ana Cañeda, Office of the Civil Defense-Northern Mindanao (OCD-10) regional director, P70 million has been allotted for the campaign on disaster preparation in the region. 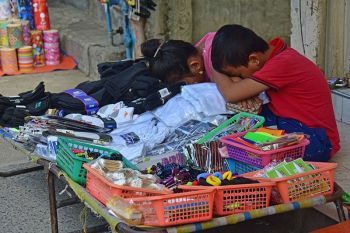 Each municipality and barangay has a separate five-percent share from the total budget of the province, Cañeda added.